Astro portioning scales are designed to be durable enough to withstand the demands of a variety of food environments - from small café kitchens to large restaurant chains, from mid-sized catering companies to internationally known fast-food franchises. Readings on the display change from green to red to alert the user if the scale is overloaded. Astro's stainless steel housing is ideal for commercial kitchen settings, and allows efficient clean up with a simple wipe down after use. Astro compact scales are excellent food portioning devices that are perfect for weighing meals in spas in accordance with calorie counts and nutritional information. Astro digital scales have all the features expected of a kitchen scales with added benefits. 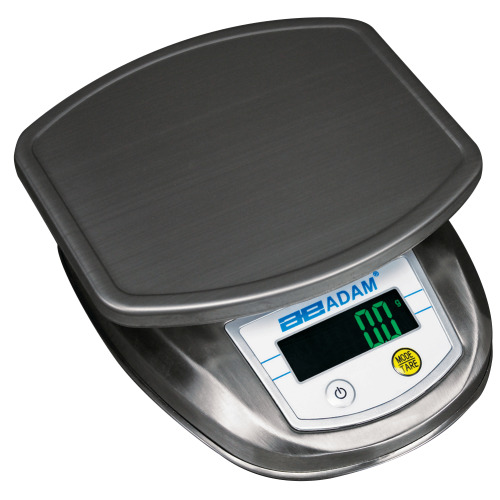 The scale is constructed out of durable stainless steel that allows the scale to be easily cleaned after weighing ingredients. Astro scales also tend to have higher weight capacities than typical kitchen scales.